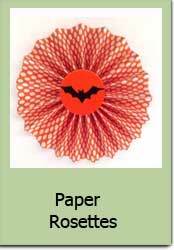 Halloween crafts are fun and easy! Making your own Halloween party decorations can be rewarding. So, whether you will be making your halloween crafts or buying a printable to make your party decorations we have both solutions for you. We also have some great FREE instant downloads you can use. Or something you can turn into a party decoration, then you have come to the right place. How about some spooky witches? Ghosts? Frankenstein? How about a Werewolf? Sounds pretty spooky, doesn't it? We will try and include as many videos as we can and we will be putting up some files for you to come and take. 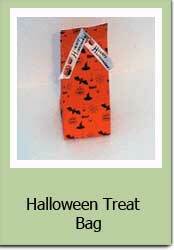 Cute little Halloween goodie bag or treat/gift bag can be made in just a few minutes! 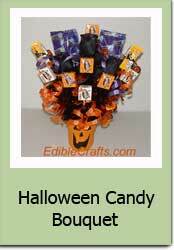 Make party favors out of them or give them out to trick or treaters! They could also be considered "easy kids craft projects". Try one today. To make your own Halloween Goodie Bag click here. 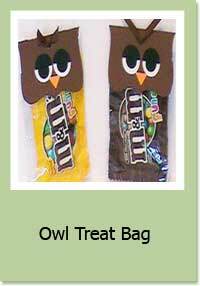 Halloween Treat bags can also be filled and given out to all the trick or treaters who will come to your door this year. 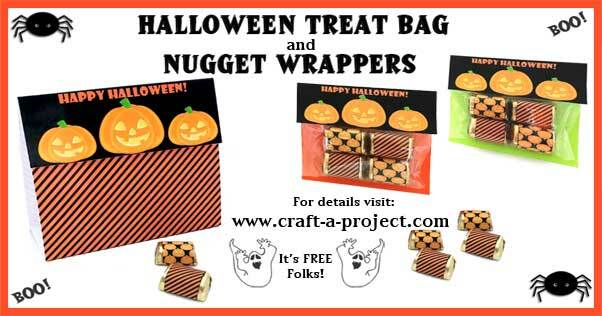 Here are some perfect treats for Halloween crafts, if you need to make for a whole class! To make your own click here! 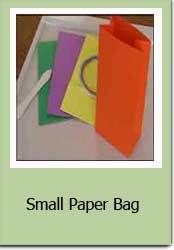 Learn to make the perfect small paper bag to put Halloween candy in or any small gifts! 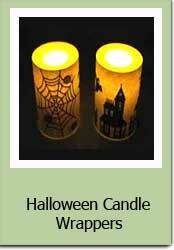 Halloween Crafts are fun and easy to make. 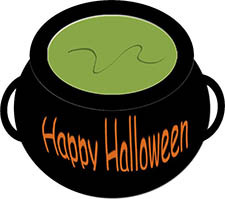 If you have some ideas on crafts for the spooky time of the year email me!